Always Evolving Racing, a racing team founded by Roger Rodas has been in a seemingly state of decay since his passing last November. Roger Rodas and actor Paul Walker were involved in a fatal accident on 30 November 2013. Roger Rodas was driving when he lost control of the Porsche and then hit a tree and burst into flames. Further investigations report the car would have been traveling in excess speeds of 90 mph in the 45 mph zone. Paul and Roger were attending a charity event for Walker's foundation "Reach Out Worldwide". Due to the passing of Paul and Rodas, AE performance - a car tuning/performance shop co-owned by Walker and Rodas, closed it's doors for business. The Always Evolving website has been recently updated with a small amount of information about the company and it's future, it also states near the bottom of the site that Always Evolving Racing is no longer affiliated with AE performance. Always Evolving Racing made their first post today on the social network website Facebook since December 1st, thanking their many fans and supporters. Always Evolving would like to thank everybody for the outpouring of support from our fans, families, and our entire social media network. We are proud to say we are back online and moving forward as Always Evolving Racing. 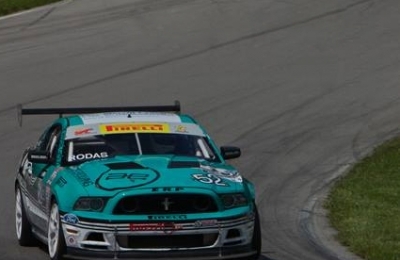 Please stay tuned to our social media for all the latest news and come visit our team at the in the 2014 Pirelli World Challenge Series." Joy from their fans have started to show in the comments, with many fans asking when they can continue to buy their merchandise. It is great to see AE Racing will keep racing and we hope to see great triumphs from the team, but it is a big shame for AE performance's permanent closure. Let us know what you think about how things have unfolded in the comments below!